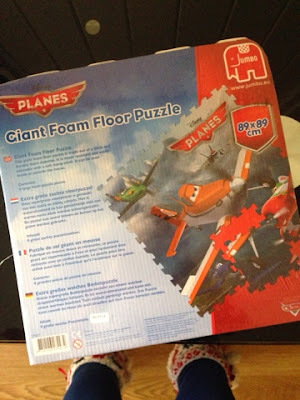 Jumbo Games are a company that sell a wide range of toys, games and puzzles. 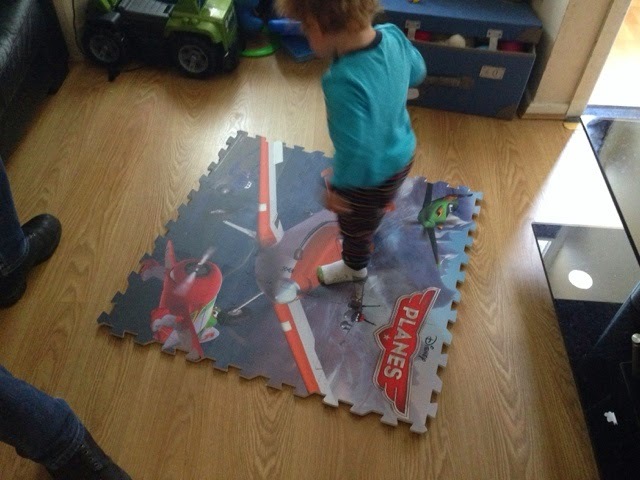 Last month, they added a new item to their pre-school selection - Giant Foam Floor Puzzles. They come in lots of different characters such as Jake & The Neverland Pirates, Mickey Mouse Clubhouse, Minnie Mouse, Planes and Doc McStuffins. C was lucky enough to be sent one of their Planes puzzles to try out. 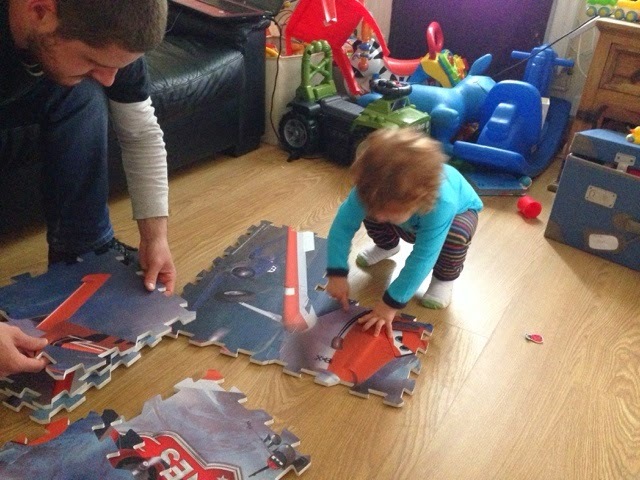 The puzzle is aimed at children aged 3+. 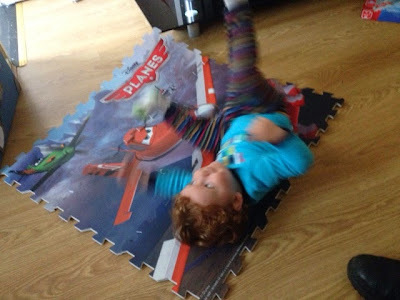 Although C will only be 2 next month, he took to it really well. 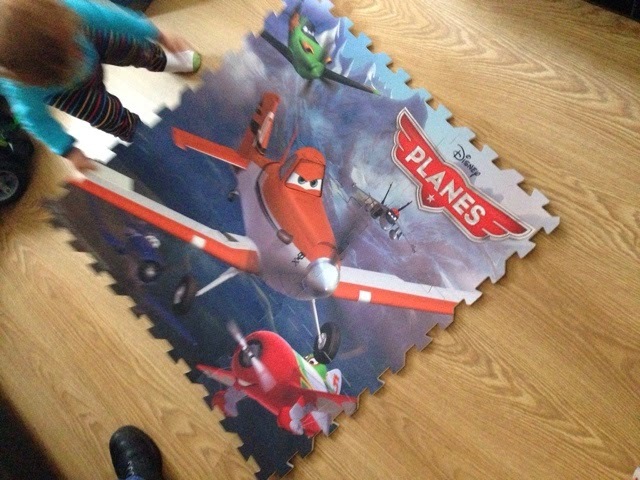 There are only 9 pieces so it's easy enough for your child to work out which piece goes where. The puzzle pieces are made from high quality EVA so that they maintain their original shape. This is great as C tends to bend and throw things about. When completed, the puzzle is 89x89cm which, I think, is a perfect size (we only have a small living and C's bedroom is only little too!) but if you buy any of the other puzzle characters, you can join them all together! I think C will be wanting the Mickey and Jake ones too! 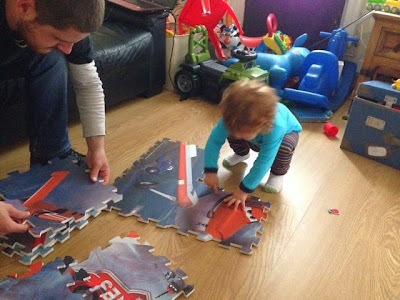 He loved seeing the finished image and ended up mainly using it as a playmat when he had completed it. All in all, this is a great quality product and has seemed to withstand my sons forceful playing, shall we say! You can purchase your own Giant Foam Floor Puzzle from Amazon for £14.99.